Vine is Twitter’s video-looping app and it has been rapidly gaining buzz and business since its launch in January. Vine has become popular with start-ups and small businesses that have been busy creating short-form videos about their brands to share with early adopters of the social media service. These videos have ranged from product demos to candid company scenes and there really is no limit to how brands can promote their products and personalities. 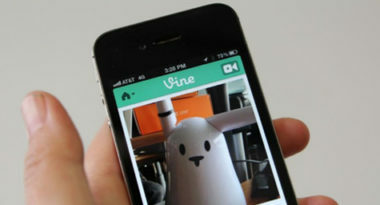 To give digital marketers a better idea of ways to leverage Vine, Mashable.com listed the following five suggestions. 1. Post Promotional Videos – Video provides much more insight and information than a static image, which is why so many brands are creating Vine videos for promotional purposes. Video also sparks higher levels of interest and engagement from viewers, which increases the likelihood of interaction and sales. 2. Display a Demo – Product demos have been one of the most common uses of Vine videos because they show a company’s product in action. These demos have become so popular because they offer both education and engagement in a concise yet compelling video format. 3. Supply Specifics – Some businesses have used Vine videos to quickly clarify confusing offers or complex information. Their short format has let companies explain and educate in a few brief words and instructional images. 4. Request Responses –Vine has become an easy way to ask for fan feedback about a product or service. Fashion brands have favored this approach since it fosters a relationship with consumers and allows the brand to showcase its offering in an engaging visual way. 5. Reveal the Fun Face of the Company – Startups often have a fun-loving and free-spirited office environments, which they’ve started showcasing via Vine videos. These behind-the-scenes peeks range from the hilarious to the ridiculous, yet all are extremely engaging and make viewers feel much more connected to the company. There are no rights, wrongs, or rules to Vine videos so it’s best for businesses to experiment with different concepts and content to see what gets people watching, buzzing, and sharing. To integrate Vine videos into your social media marketing strategy, contact MDG Advertising. MDG Advertising, a full-service advertising agency with offices in Boca Raton and New York, NY, is one of Florida’s top video marketing agencies. Our 360° approach uses just the right mix of traditional and digital marketing to reach your advertising goals. While some industries may fare better in print and others online, we strive to create a balanced approach, where traditional, digital, and social media marketing efforts support each other and your message is tailored to the medium. To learn more about the latest trends in marketing and advertising, contact MDG Advertising.